Sports legends, celebrities, corporate leaders, media personalities and more attended this week’s 27th Annual Great Sports Legends Dinner, hosted by The Buoniconti Fund To Cure Paralysis. 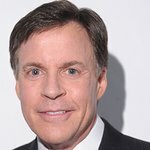 NBC Sports Icon, Bob Costas returned as Master of Ceremonies at the event, which paid tribute to philanthropic heroes and sports legends that inspire and motivate those affected by spinal cord injuries. Held at New York’s famed Waldorf=Astoria, the star-studded dinner raised nearly $18 million. 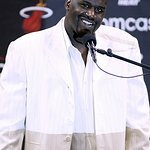 This year’s honorees included Shaquille O'Neal, Joe Torre, Marshall Faulk, Tony Perez, Mark Martin, Lorena Ochoa, Jake LaMotta and Lisa Leslie. Famed NBA Player and NBA Championship Winner, Alonzo Mourning, was presented with The Buoniconti Fund Award for his commitment to the organization. Grammy Award Winning Musician and Producer, Emilio Estefan, was honored with The Outstanding Business Leader Award. Other notables in attendance included: NBA legend Walt ‘Clyde’ Frazier, boxer Laila Ali, “Real Housewives of NYC” star Aviva Drescher, Wendy Williams, Comedian Jeff Dye, Olympian Gold Medalists Jordan Burroughs and Allyson Felix, Celebrity Chef Todd English and more. Founded by NFL Hall of Famer Nick Buoniconti after his son, Marc, became paralyzed during a college football game, The Buoniconti Fund, is the fundraising arm of The Miami Project to Cure Paralysis, the world’s most comprehensive spinal cord injury research center. Since its inception in 1985, the Great Sports Legends Dinner has honored more than 283 sports legends and honorees and has raised $93 million for The Miami Project’s spinal cord injury research programs. Contributions from previous events have funded the first ever human clinical trial, recently approved by the FDA to become the first of its kind.